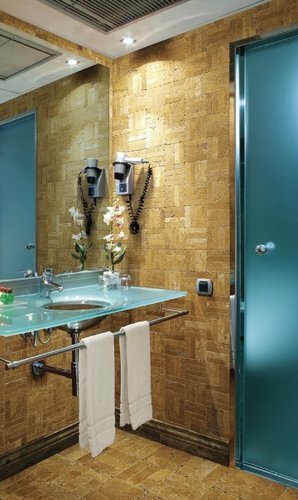 Our wall cladding Tiles also known as bathroom cladding Tiles and bathroom panelling is an elegant source of internal decorating for walls. They are beautifully stunning, stylish and practical, furthermore, they can be fully utilised in bathrooms, showers, kitchens, utilities, hallways, bedrooms, playrooms, offices and many other locations. They are easy to clean and 100% waterproof. We, Choice Stone Craft (p) Ltd., established our operations in the year 2010, as one of the noted manufacturers, exporters, suppliers and wholesalers of a vast series of Natural Stones & Tiles. Our product assemblage comprises of Wall Cladding Tiles, Natural Sandstone and Natural Limestone. Available in Natural Cleft, Tumbled, Brushed, Honed, Polished, Sandblasted, Antiqued, Calibrated, Polished and Hand Crafted finishing, the offered product compilation is manufactured using premium quality material, which is procured from our reliable & dependable vendors. In addition, to keep up with the quality standards, we make sure that the predefined industry guidelines are followed completely. Backed by a spacious infrastructure facility, we are quite capable of fulfilling the diversified bulk demands of our prestigious patrons. Advance technology based machinery, tools and equipment are installed in our systems, so that the flawlessness of the entire product selection is maintained. Because of the constant efforts of our skilled team members, we have garnered a strong number of valuable customers in Dubai, Australia, Berlin, USA, Canada, UK and several other countries.